Inspired by this issue I've searched for a way to get all strings in Vanilla that have to be translated. So I've started playing around with regular expressions but ended up with PHPs tokenizer. Great tool! In order to be able to really play around with the data, I've exported it to excel. Another thing I've learned and found it to be really easy I've attached my script so you can play around, too. I've found 1.880 usages of the functions T, BigPlural and PluralTranslate. 1.761 are simple T functions with "only" 1.147 (roughly 2/3) unique strings. The remaining function calls contain translatable data in a way that is more complicate to deal with. Those 119 functions have 82 unique parameters and only 40 of them contain strings (e.g. T($Discussion->Sink == '1' ? 'Unsink' : 'Sink')). Well, I've started this experiment to find a way of checking if every string in the source code has been translated and ended up with about 20% more translations than I've expected! Strange thing. Maybe I'll try to match the definitions with my excel and see what I will find out. 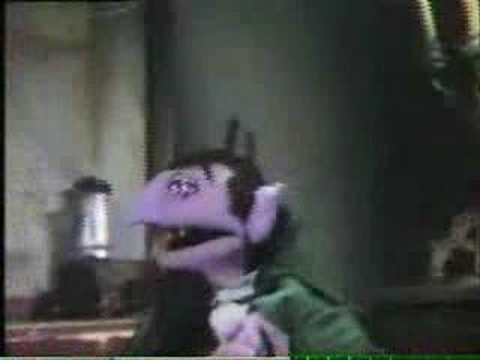 post an mp3 with "you" singing along with the count. you inspired by me, me inspired by you. do you have the latest transifex from github - I believe Todd got rid of lots of translations at least for other langs. Pure speculation: This may, in part, be an artifact of having all-version locales. Our locales are for 2.0.18, 2.1, and 2.2, which of course will have some differences. @peregrine: In fact it is the same annoyance as the last time I wanted to get a copy of the language files: I do not know my login credentials. But I can open the side (https://www.transifex.com/projects/p/vanilla/language/de_DE/) and hovering over the progress bars shows me some statistics. @Linc: I guess there are some translations that belong to hosted plugins: $Definition['Add Badge'] is included. That will add some more lines. very very, slick program @r_j. I even found folders that I set the wrong permissions with it (wrong read permissions and ownership). a beneficial side effect. hey @r_j - you probably already did this. or if you may have improvements to it. the same idea as Translations. Just yesterday, I was diagnosed with ohrwurm by the famed Doktur @R_J it may only affect humans and birds, don't worry it won't do anything to your computer. Although I've had the malady since May. Ever since I watched the counting video in r_j's opening post above, I can't get the song out of my mind. and what's worse. I see the images of the count singing as well. So I think I may also have augewurm as well. I don't know how long this condition may last. just wanted to give folks a heads-up lest they become victims of the ohrwurm (and its left-handed enantiomer earworm). Its kind of entertaining, but at times you may not want to be counting. It also makes it difficult while counting change and paying for things at the store. And for non-english speakers you will learn to count to four by the end of the video.